Unique star patterned lace sets Stella apart from the rest! 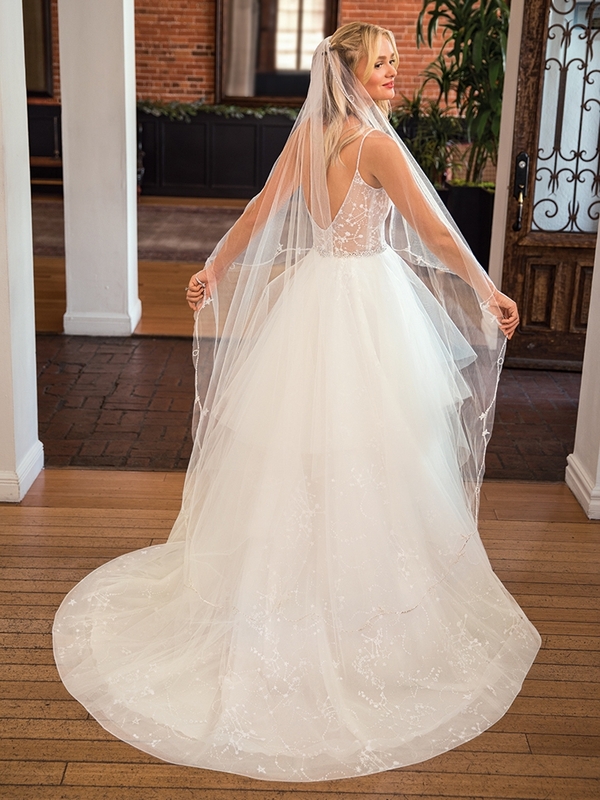 This ballgown wedding dress from Beloved by Casablanca Bridal is beautifully whimsical, perfect for the artistic soul! Spaghetti straps dive into a plunging neckline, stopping at a beaded belt on the waist. Her illusion back cascades into an astronomically beautiful sequined tulle layered skirt, star patterned lace continuing along this gorgeous gown. A delicate matching veil ties the look together perfectly!